Green Smart Technical is a Gulf-based company specifically formed to provide rope access related services to industries and high-rise buildings across UAE. 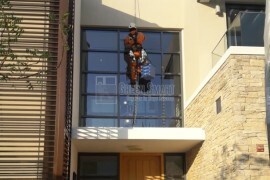 Our main focus is to provide fast, reliable, safe and world-class Rope access window cleaning and exterior maintenance services to residential and commercial premises. At Green Smart Technical, we have highly efficient IRATA certified personnel who are always geared up to provide safe, environment-friendly, quick and quality services at any dangerous peak much to the satisfaction of our valued customers. 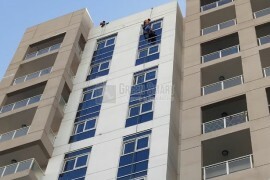 We use rope access technique to send our technicians and engineers to scale high-rises and dangerous peaks to do any kind of repair and maintenance work safely and efficiently. We primarily focus on customers’ satisfaction and carry out our assigned works within the specified deadlines and without affecting the immediate environment. We believe in delivering sustainable services which is possible due to our strong infrastructure having highly experienced professionals using latest and safe equipments. We take pride of our quality engineering capabilities and outputs that form part of our commitments to our customers. At Green Smart Technical, we don’t compromise on our objectives – Meeting customer requirements, delivering services on time and providing high quality services within the budget. 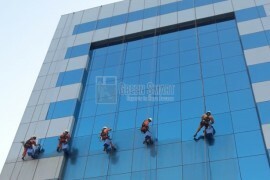 We are one of the leading rope access companies in UAE having wide customer base. We stick to deadlines and strive to complete the work without disturbing the incumbents of people in the surrounding areas and environment. We maintain the highest record of following safety standards. We have undertaken all our works without risking the lives of the workers, who are well trained to meet any adverse conditions. 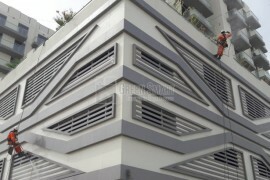 We focus on providing unmatchable rope access services to our valued customers in their maintenance & civil works such as painting, blasting; And Pressure washing, External High rise Building window Cleaning and facade glass cleaning services. 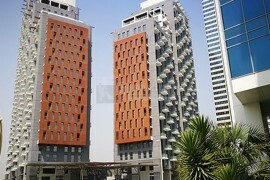 We provide rope access in Dubai for commercial and residential high rise buildings. Using the safest and most reliable rope access services provided by our strong IRATA-certified technical team, we offer exterior window Cleaning & glass cleaning and maintenance and other types of repair works even at high-risk peaks. 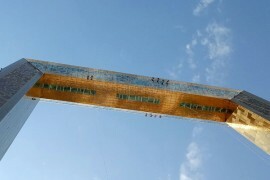 High rise window cleaning involves challenges and hazards. With rope access technology we, at Green Smart Technical, undertake any difficult task involving dangerous climbing or maintenance at peaks. 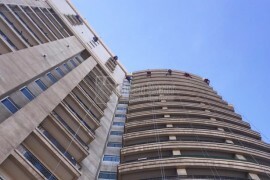 We follow all safety standards to undertake rope access window cleaning and maintenance services like aircraft warning lights replacement, painting & Blasting at high rise building safely and effectively across the UAE. 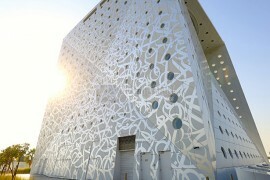 Facades are now common phenomenon for all commercial and residential towers in Dubai, Abu Dhabi and all over UAE. We provide effective façade glass cleaning, maintenance and erection services without compromising on safety standards and environment. Our services are cost-effective and also sustainable much to the satisfaction of our valued customers. 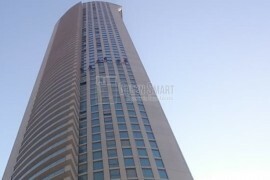 With our customer-focused services, Green Smart Technical stands apart with other rope access companies in Dubai, UAE. We offer fast, reliable, sustainable and low cost services for residential and commercial premises. Apart from offering effective cleaning of glass surfaces, window panels, facades, signage, cladding, we also offer maintenance services using rope access. 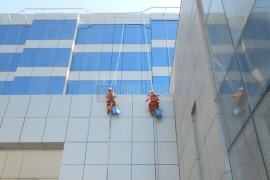 We offer window cleaning in Dubai, UAE using rope access for all types of commercial and residential establishments. Whether it is small or big commercial company, we offer safe, secure and reliable rope access services to keep their premises clean. 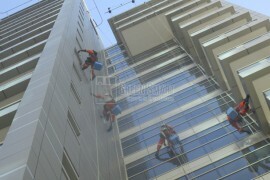 We also undertake annual maintenance of high rise glass windows cleaning and other services of skyscrapers across UAE.